That sound you hear is me drooling with delight and anticipation. An article by Victoria Sussens-Messerer in The Guardian today details the discovery of 500 fairy tales that were collected by German historian/folklorist Franz Xaver von Schönwerth (1810-1886) in the 19th century and then, for some reason, locked away in an archive in Regensburg, Germany. Von Schönwerth was collecting his folk and fairy tales in the Bavarian region of Oberpfalz at roughly the same time that the famous Brothers Grimm were also gathering tales. "Von Schönwerth spent decades asking country folk, labourers and servants about local habits, traditions, customs and history, and putting down on paper what had only been passed on by word of mouth. ... Von Schönwerth was a historian and recorded what he heard faithfully, making no attempt to put a literary gloss on it, which is where he differs from the Grimm brothers." The Guardian article has numerous other great details about Von Schönwerth and this fabulous discovery. I recommend that you check it out. You can also read one of the newly rediscovered von Schönwerth tales -- The Turnip Princess -- on the Guardian website. 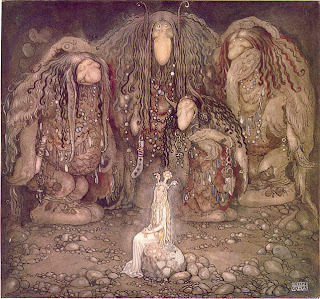 This excellent March 16 blog post by Harvard professor and folklore expert Maria Tatar on The New Yorker website puts this "discovery" in a much better context. It's also just a great read for fairy-tale enthusiasts. 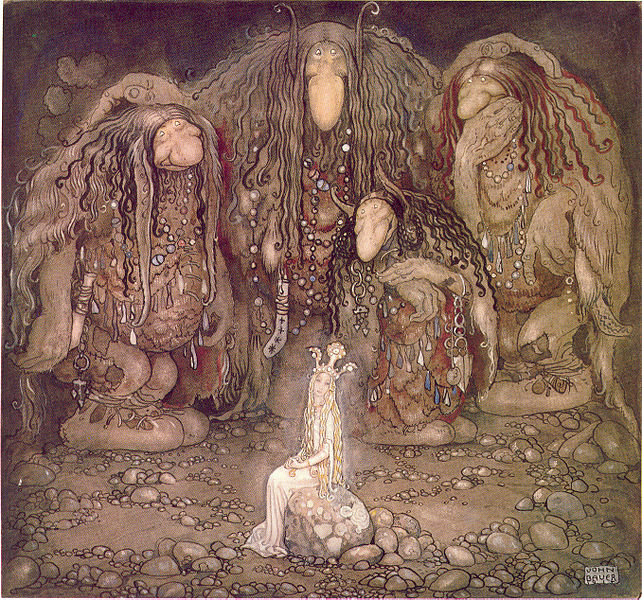 If you love fairy tales, you'll want to check out Papergreat's previous posts on author Ruth Manning-Sanders and also the posts within the folk tales category.